Check out event pics below. And stay tuned for information on our Fall 2019 event (date TBD). 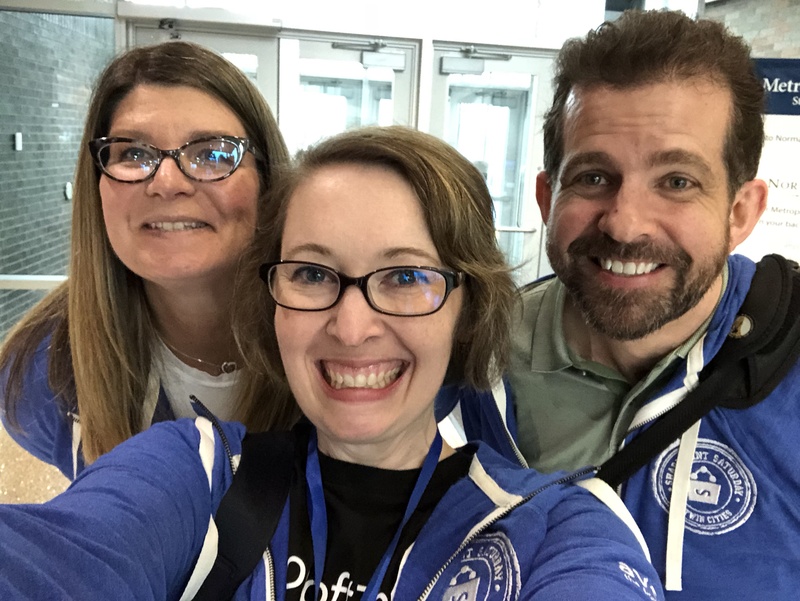 We’re thrilled to welcome everyone back for another SharePoint Saturday Twin Cities! 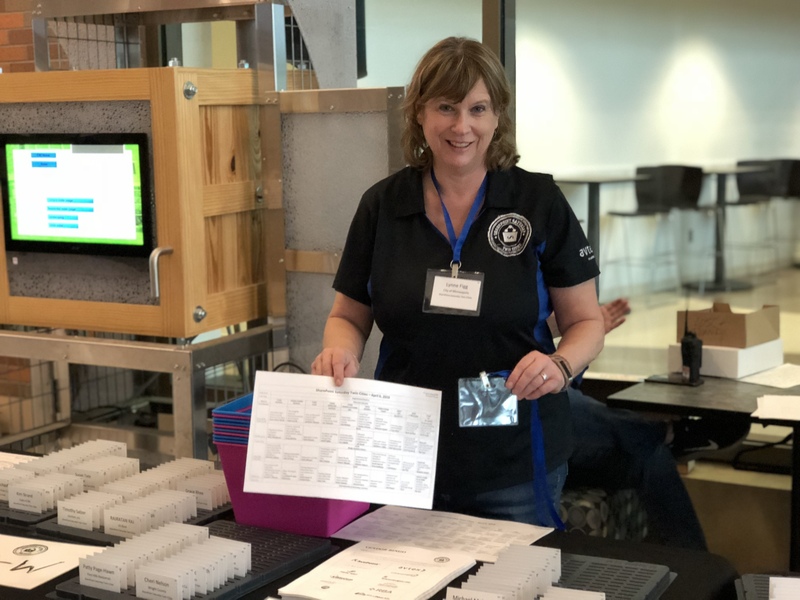 Our Spring event is scheduled for Saturday, April 6, 2019 at Normandale Community College in Bloomington, Minnesota. Our call for speakers is now open. If you’d like to be considered, please submit your session ideas and speaker bio. Submissions will be accepted through February 12th. More information about the Spring 2019 event (including registration and session schedule) will be posted over the next few weeks. Please monitor our Facebook page and www.spstc.com for updates. We have 600+ attendees registered so far, but there’s still time (and space) to sign up! Register now. Or check out our website for information on the day’s schedule, sessions, and speakers. 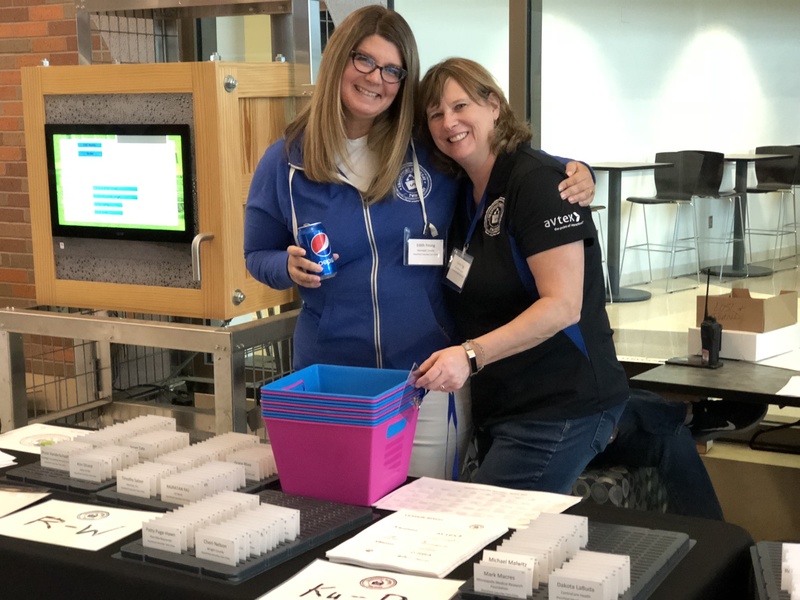 We’re thrilled to welcome everyone back for another SharePoint Saturday Twin Cities! Our Fall event is scheduled for Saturday, November 17, 2018 at Normandale Community College in Bloomington, Minnesota. Our call for speakers is now open. If you’d like to be considered, please submit your session ideas and speaker bio. All submissions must be received by 11:59PM on September 9th. Speakers will be notified whether their sessions are accepted by September 20th. More information about the Fall 2018 event (including registration and session schedule) will be posted over the coming months. Please monitor our Facebook page and www.spstc.com for updates. I’m thrilled to be heading to NYC to speak at SharePoint Saturday New York City on July 28, 2018. Daniel Glenn and I will be co-presenting a new session at the event: Driving adoption of Microsoft Flow, one solution at a time. We’ll provide an introduction to Microsoft Flow, provide practical guidance on how to drive adoption, outline common workflow use cases, and illustrate how SharePoint Online can serve as a community knowledge center. Attendees will also learn how to build a reusable Microsoft Flow template gallery that enables easy sharing of workflows between business teams. Registration for SharePoint Saturday New York City is already open. Check out the event schedule for details on all the sessions and the speakers page for details on who else is speaking. Please plan to join us–it promises to be a great event! 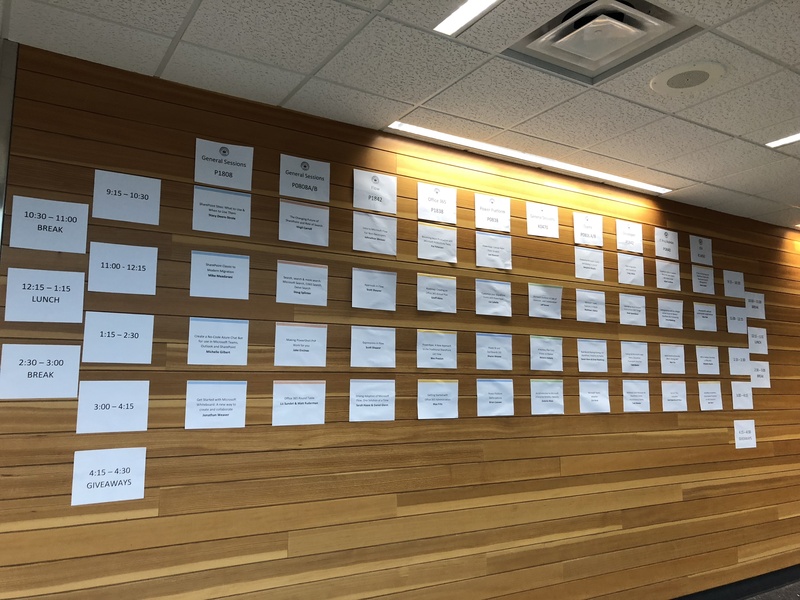 It’s almost time for SharePoint Saturday Nashville! I’m thrilled to be heading to Nashville, TN in a few weeks to speak at SharePoint Saturday Nashville. There’s a great lineup of speakers for the May 5th event, including fellow Minnesotans Max Fritz and Trevor Huinker. I’ll be presenting my session “Yes Virginia, you can use Content Types.” It provides a 100-level introduction to content types, including live demos of how to set up and configure them in your lists and document libraries. I’ll also provide several use cases for business solutions you can build with content types. The session will be a great introduction for content type newbies, but will also provide creative ideas for experienced users on how they can leverage content types to automate business processes. Registration for SPS Nashville is still open. If you’ll be in the area on May 5th, it’d be great to see you there! The SPS Nashville team is hosting their first Cloud Friday Nashville event on Thursday, May 4th. Cloud Friday Nashville is an in-depth learning experience that focuses on strategy, utilization and development of Azure and Office 365. Attendees will be able to attend one of several 3-hour workshops in the morning, along with shorter sessions in the afternoon. Registration for this event is still open–don’t miss your chance to attend! 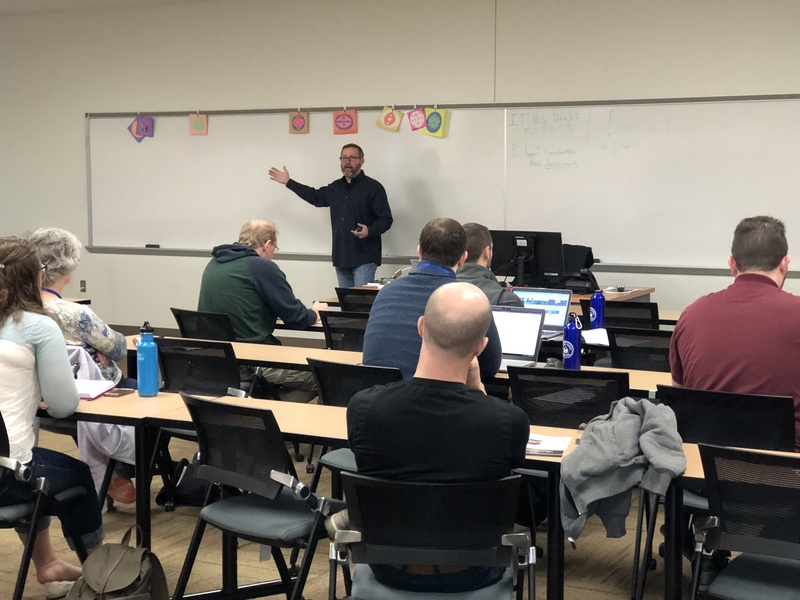 We’re back with the Spring edition of SharePoint Saturday Twin Cities (SPSTC)! SPSTC is a free 1-day conference held twice per year at Normandale Community College in Bloomington, Minnesota. 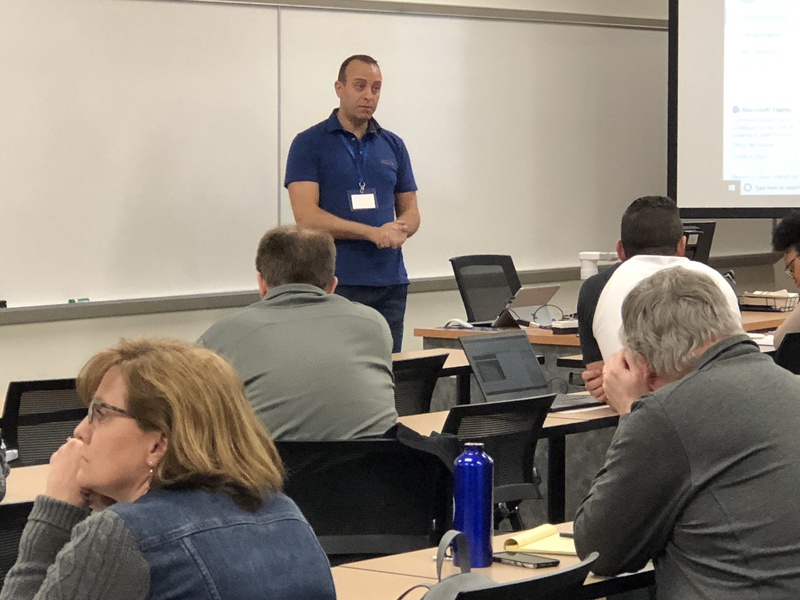 The event features local and nationally-recognized speakers and attracts SharePoint and Office 365 users from across the Midwest. In January 2018, I had the opportunity to deliver my session “When cookie-cutter user adoption doesn’t cut it…” at SharePoint Saturday St. Louis. The session explores the wicked problem of driving adoption and true business engagement for SharePoint and Office 365. Horst Rittel first coined the term wicked problem in the 1960s, referring to social challenges (e.g. discrimination, poverty, refugee crises) that can’t be solved via conventional means. In recent years, this notion of wicked problems has expanded into the business and technology realm, describing the inherent difficulty in driving change across companies and work groups. The session also outlined the inherent issues with taking a copy-and-paste approach to driving user adoption. Your organization’s culture, the skill set of your SharePoint/Office 365 implementation team and the unique norms of your user base require a custom approach to driving adoption. There is no recipe to follow for guaranteed results, nor is there a simplistic 10-step program for rebuilding your user’s relationship with IT or their opinion of your Collaboration tool offerings. And copying a winning user adoption program from another company and launching it as-is in your organization almost always guarantees failure. In order to be successful, adoption strategies must be targeted to your company’s culture, your implementation team and your user base. To help you design a custom adoption strategy, I recommend building a SharePoint/Office 365 user adoption continuum. The continuum enables you to map out key engagement initiatives and tie them to phases in the adoption growth scale. Early on, companies should focus on formation efforts that build rapport with your users and define key business objectives. Many companies also use the formation stage to establish an internal user group and seed starter SharePoint/Office 365 projects that will serve as examples of success. Once the foundation for your user adoption strategy is formed, you can move onto the adoption stage. The adoption stage is a driver for pipeline growth. This is where you start hitting critical mass and engaging users across multiple business lines to leverage SharePoint and Office 365 effectively. This will require a consistent approach for user education. Educational initiatives (e.g. SharePoint/Office 365 training classes, user group sessions, etc.) tend to be a focus for this adoption stage. Once you’ve started mastering the adoption stage, you can think about building out advanced adoption programs (e.g. SharePoint/Office 365 evangelist programs, special internal events like SharePoint hack-a-thons or code days, etc.). The initiatives in this maturation stage require a high level of engagement from a pre-existing community. You’ll need enthusiasts that are willing to volunteer their time and organize meaningful programs that drive continued interest in the Collaboration platforms. Attempting to launch these types of mature programs too early in your user adoption continuum can hamper your success. The formation and adoption stages provide the raw materials (community engagement, an educated group of power users, internal brand recognition for SharePoint/Office 365) that will help support these mature programs. Your user adoption continuum should be a living, breathing artifact. Build it over time so it can track your current efforts and serve as a source of motivation for your continuing journey. The continuum doesn’t have to relate to a specific timeframe, but the formation, adoption and maturation stages will take time to complete. The amount of time required is wholly dependent on your organization and your implementation team. So don’t approach the continuum as a race–it’s all about the adoption journey. 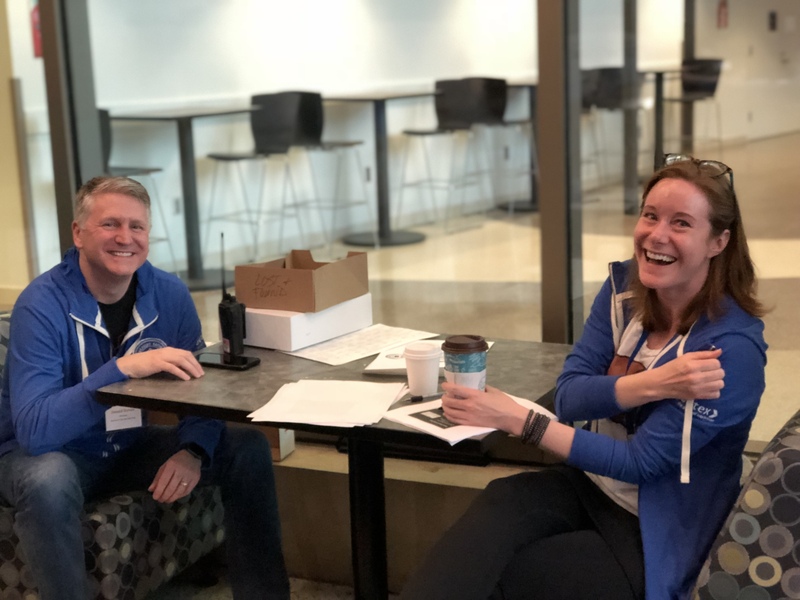 We’re thrilled to welcome everyone back for another SharePoint Saturday Twin Cities! Our Spring event is scheduled for Saturday, April 14, 2018 at Normandale Community College in Bloomington, Minnesota. Our call for speakers is now open. If you’d like to be considered, please submit your session ideas and speaker bio. All submissions must be in by 11:59PM on February 4th. Speakers will be notified whether their sessions are accepted by mid-February. More information about the Spring 2018 event (including registration and session schedule) will be posted over the coming months. Please monitor our Facebook page and www.spstc.com for updates. Why is defining ROI for SharePoint/Office 365 so hard? ROI is a “fancy” acronym for Return on Investment. While ROI implies success, it usually involves mysterious mathematical formulas that many people can’t see or understand. So how does an everyday SharePoint business owner tackle the ROI puzzle? Do you just “flip the switch” on your implementation and move on? Or are you so busy with post-launch support that you don’t have time to circle back and quantify your results? This session will help you demonstrate the business value for your SharePoint implementation. We’ll examine common ROI calculation methodologies while providing strategies for identifying your ROI niche and quantifying the business value of your SharePoint implementation. Most of us learn from others. We look for leaders in a given field, learn how they do things and try to replicate their formula for success. This approach seems logical, doesn’t it? Identify, learn and replicate. Unfortunately, user adoption isn’t a cookie-cutter exercise. Attempts to take good Collaboration ideas (ideas that drive effective governance and successful user adoption) and re-use them often fail. In this session, we’ll examine why reused ideas and solutions often fail and offer practical ideas for overcoming this re-use barrier. We’ll also discuss our real-life experience integrating innovative governance and user adoption strategies across companies. You’ll learn how to examine your users, your culture and your Collaboration goals so you can tailor others’ solutions to meet your needs. If you’ll be in the St. Louis area on January 20th and want to learn more about SharePoint and Office 365, don’t miss your chance to register for this free event.